Through being merciful your lusts will become nullified. A person that closes his eyes from thing bad things, through this he will be saved from humiliation. When a person goes out to the marketplace and is fearful not to come to impure thoughts if he sees women, he should say the following verse "Hayn Aralim Tzuaku Chutzha Malchai Shalom Mar Yivcuyun" (הן אראלם צעקו חצה מלאכי שלום מר יבכיון) , and through this he will be saved seeing impurity. Through drunkenness a person falls from his spiritual level. Through drunkenness a person falls into impure thoughts. Drunkenness causes exile, it also causes spilling seed in vain. Through making falses ouths one bings upon himself impure thoughts. A person that is accustomed to constantly swearing, bad thoughts will constantly plague him. Through the keeping of the Shabbos a person draws upon himself the light of Moshiach, this also happens through doing repentance. The more holy a person is the more he is distanced from sleep. Through excessive sleep a person is pushed away from the Chariot of Holiness, his facial appearance becomes altered and he looses his G-dly image. A person that is empty from good deeds can not separate others from their wickedness. It is appropriate that repentance should be done with the same exact thing that was used to sin. When a person thinks "I will do this and this and this and this I will manage to accomplish", through this his thoughts do not come into actualization. Exile is an atonement for anything. A person that has a humble mind it is as if he sacrificed all the sacrifices. Any person that confesses has a share in the World to Come. A person should guard his mouth from saying "I will commit this sin", even if he says it jokingly, since his words will force him to do that action. When a person cries during the night, his voice is heard and the stars and constellations cry with him. People that are guilty of spiritual excommunication, once they receive lashes they are acquitted from the excommunication. When suffering comes to the world, a person should think that this suffering came about due to his sins. The clothing that is made for the Tzadik, each piece of clothing has a separate auspicious power to bring forgiveness. Once a person marries a woman, his sins (bubble/become loosened ???). When a person sees or hears that suffering came to a Gentile, he should think thoughts of repentance. 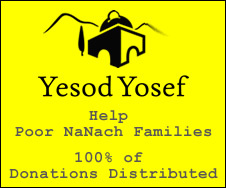 A person that lives in Eretz Yisroel, lives without sin. One should be lenient when issuing methods of repentance to sinners. The sin weakens the strength of a person.